There are more Treehouse stories coming to the stage… Wait. Should that be ‘storeys’?! The best-selling book by Andy Griffiths and Terry Denton, The 26-Storey Treehouse, ‘grows’ into a stage production this year and Melbourne audiences will be one of the first to see it (never fear, the show is touring nationally!). 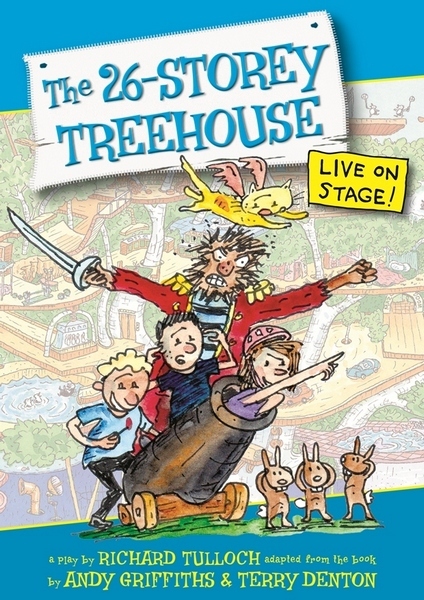 The original stage adaptation of The 26-Storey Treehouse follows the highly successful stage production of The 13-Storey Treehouse, which premiered in 2013. Of course, the Treehouse just keeps getting bigger and better – there are another 13 storeys and lots more inventions for characters Andy and Terry to manage. Look out for the 78 flavour ice-cream-dispensing robot, the brain bamboozling Maze of Doom and the rather tricky self-inflating underpants. Nothing could go wrong with these wonderful inventions… or could it?! Did we mention there are also pirates…? 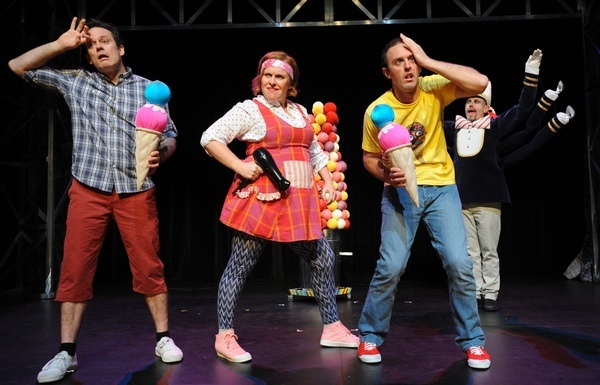 The 26-Storey Treehouse begins a national tour at the Arts Centre Melbourne’s Playhouse from 8 – 19 April, 2015. Tickets are priced from $26-$37 and can be booked directly through the Arts Centre. And for those who like to read the book before they see the show, find the Treehouse series at Book Depository, with free delivery to Australia.